One&apos;s having the builders in! Queen Elizabeth is renovating Buckingham Palace over the next decade at a cost of $455 million, officials announced Friday, November 18. New floorboards and baseboards (nearly 33,000 square yards worth! ), 78 refurbished bathrooms, 100 miles of electrical wiring, 760 new windows and 6,500 electrical sockets are just a few of the essential maintenance works on the repair list for the 17th century building and its 775 rooms. A Buckingham Palace spokesman confirms to Us Weekly that the major works will begin in April, and that the Queen and Prince Philip will remain in residence throughout the project. And while the work is being done one wing at a time (the palace has four), the 90-year-old monarch will still experience some disruption — she and her husband, 95, will have to temporarily leave their his and hers bedrooms. Thirty-seven of the Queen&apos;s staff will also temporarily live in cabins on the palace lawn while during the renovations, but aides say that other members of the royal family who often live there — Prince Andrew, Prince Edward and Countess Sophie, and Princess Anne — won’t have to take on temporary accommodation. 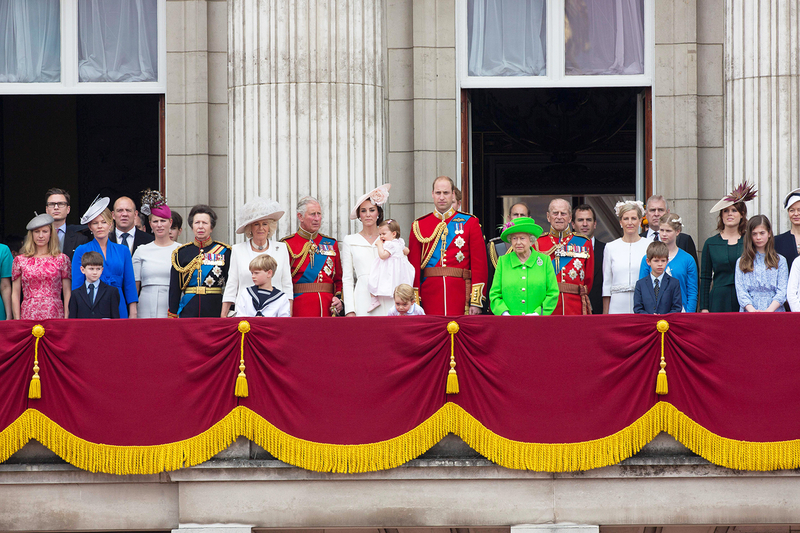 Other essential refurbishments being done during the 10-year project include solar panels to lower electricity bills, 30 miles of new pipework, 1,514 new doors, 2,500 new radiators, 5,000 new light fixtures and even repair works to the to the famous East Front balcony, the site of so many iconic royal moments. The $455 million (£369 million) cost of the project will be funded by a temporary increase to the Sovereign Grant, an allowance funded by British taxpayers. Palace officials defended the costs, saying that if repairs were left any longer there could be "potentially catastrophic building failure" in years to come. Buckingham Palace isn&apos;t just the home to the Queen; the London landmark houses numerous staff and offices, hosts over 90,000 people (including a wealth of dignitaries and state officials) and receives over 500,000 tourist visitors to its grand State Rooms every summer. It is also home to countless (and priceless) works of art. Master of The Queen&apos;s household Tony Johnstone-Burt said: "Buckingham Palace is one of the most iconic buildings in the world, and this programme is designed to extend its working life by a further fifty years."